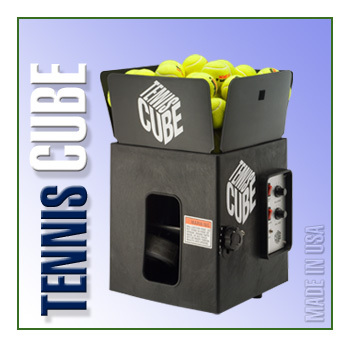 Tennis Cube w/oscillator - Demo | Sports Tutor Inc.
Tennis Cube is the most compact tennis machine available for beginning and intermediate players. This model includes oscillator. THIS IS A DEMO MACHINE WITH FULL 3-YEAR FACTORY WARRANTY.